When I unloaded my car I plonked them on my deck & there they stayed all winter long while a colony of spiders took up residence in them. Unfortunately a couple of days later when I went to paint them - I found a colony of a different sort had taken up residence in them!!! Dear Blackie .... with his ample proportions squeezed into the baskets !! I planned to line the bottoms so I painted everywhere except the bases . . .
As I was using a gorgeous Sanderson linen to line the oval basket I found a lovely wide vintage lace to compliment it. As she is unstuffed, she is a wall hanging Angel only .... I think they are called "flat dolls"
I begun the stitchery for these stockings below while Mum was still with me. 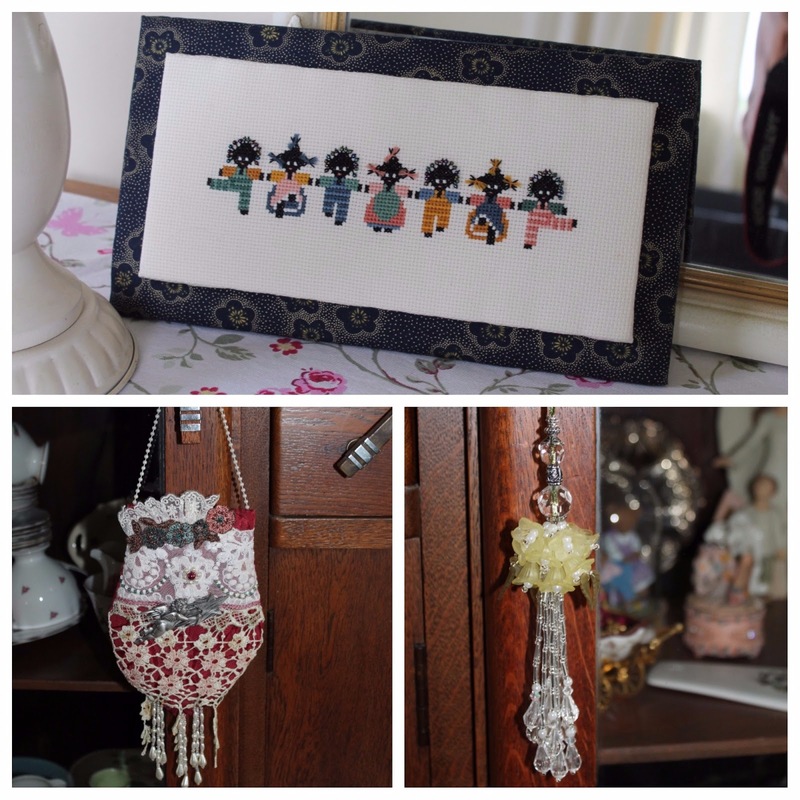 Last month a beautiful surprise package arrived from my South Island friend Therle ..... gorgeous x-stitch, a lace pouch & beaded tassel .... all her own creativity. 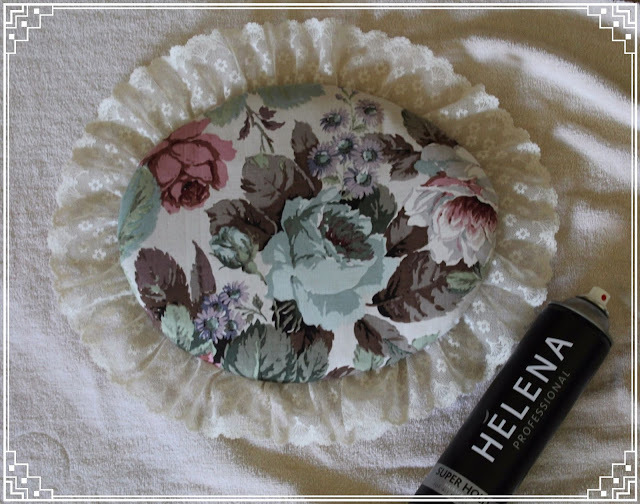 The pouch was stuffed with lavender scented wadding, still smells divine & looks perfect hanging on my Oak Dresser handle. Thank you SO much Therle for your thoughtfulness - your work is exquisite! A longtime customer Ruth, dropped by last week with a box of old fabrics & lace for me .... Ruth sometimes donates bits & bobs to me & anything I won't use I pass on to either the kindy up the road, or Alec's daycare centre. I swear within the hour a certain little ginger being had taken up residence amongst the lace & fabrics ... thank you most kindly Ruth from Pippi for the "new bed arrangement" !! behold..there's Blackie..all a kimbo! zzzzZ! to dig out the fairy lights soon...! :). the Can~Can..Dancing..they look lovely! :). And the little Christmas stockings..! for six hours yesterday, no power...still o.k. now! earliest lemon teas ever! And..talking of lemon yea! :). 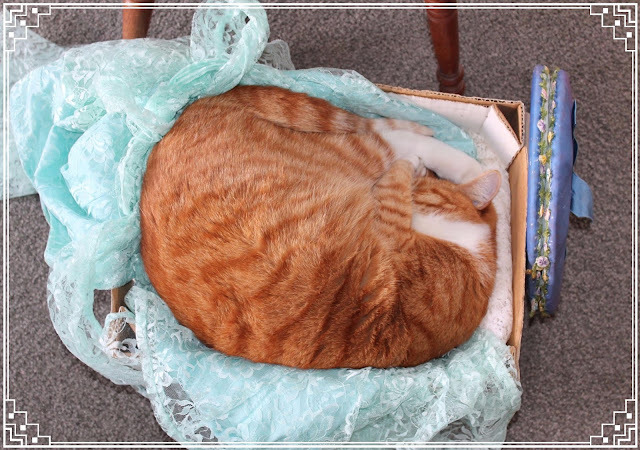 Your feline friends certainly have good taste when finding a place in which to snooze. They are both so sweet. My you have worked beautiful wonders this week, Julie. Love those baskets and those sweet stockings are adorable. Sweet hearts also. It seems you are the drop off place for many gorgeous pretties; lucky you. Love the cross stitch gollies too. Am I right when I suppose you have a room of collected old mags and patterns. I know I have.=) Therie gifted you with beautiful pretties. Have a fabulous week, lovely Julie. 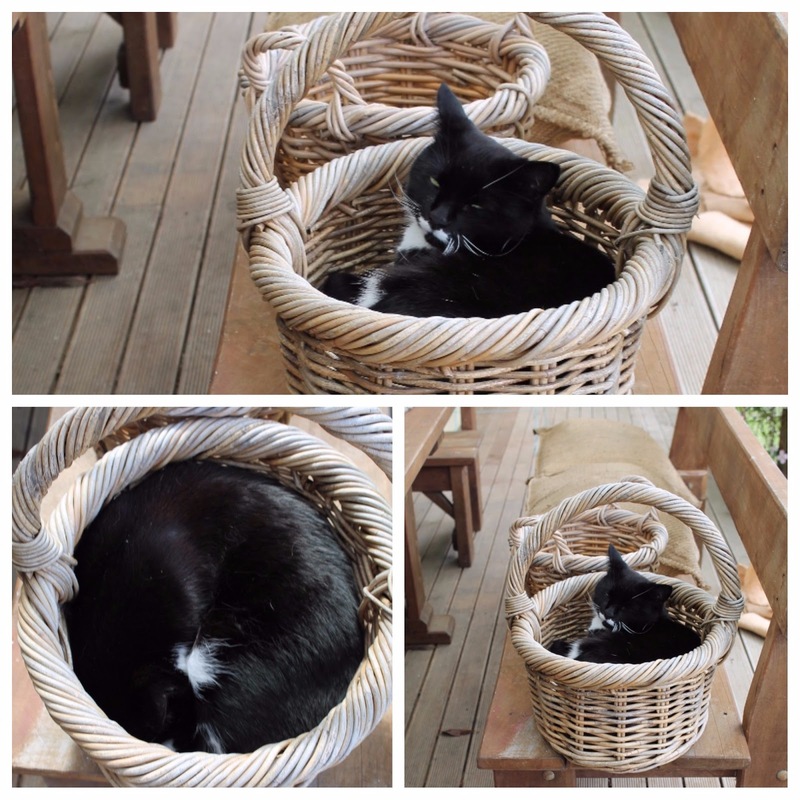 Blackie and Pippi sure are amazing at curling themselves into tight balls and squeezing into some cozy spots! I never knew you could use hairspray on anything other than hair (that's human hair Blackie & Pippi!) You sure did give those baskets a new lease of life. Good to see you getting time in between all your granny duties to make new stock for the shop. Hi Julie, well I definitely want to come back as a cat in my next life, oh to be able to curl up as they do (sigh). You did good on those baskets.That x stitch from your friend is so cute. 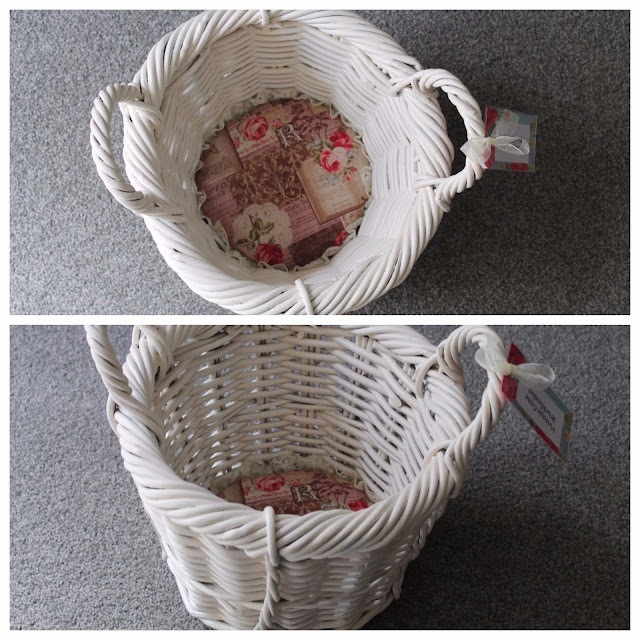 what gorgeous baskets! 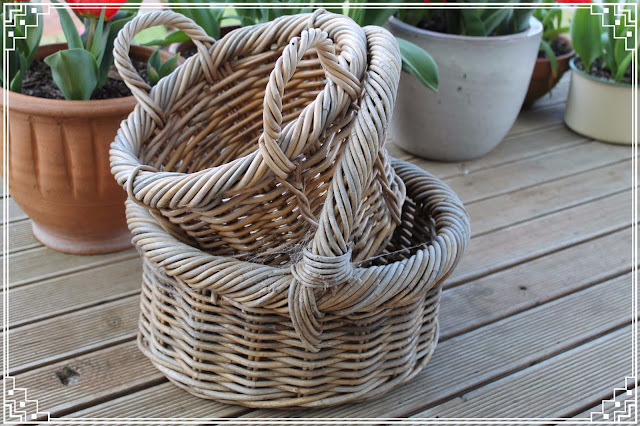 i love cane baskets but they get too cdirty too fast here & hard to keep clean with all the dust. Thanks so much Selina ... I Just love upcycling or repurposing the old things ... it brings me so much pleasure to give them a second life. Blackie and Pippi are hilarious,and as Toebee came from your place he seems to have a similar desire for getting into things. He tries to get in my grocery bags while the groceries are still in them!! 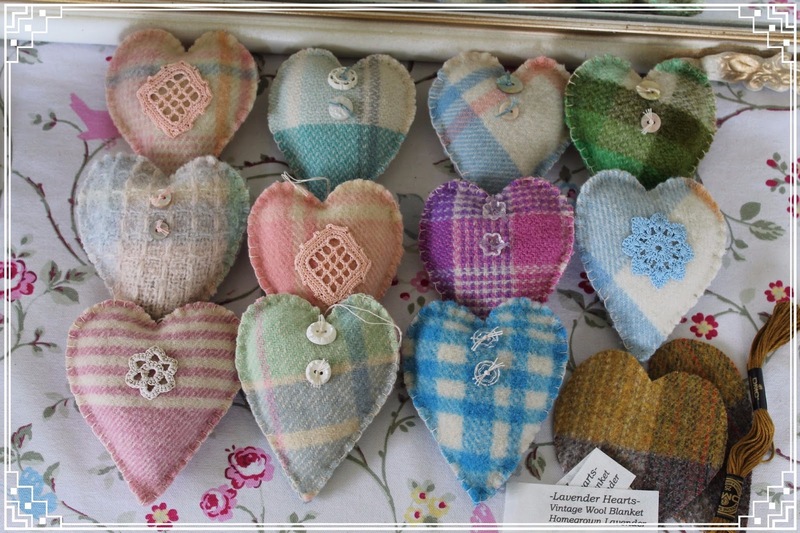 Love all the things you have been making, your dear shop will be brimming with fabulous stock. Hi Julie! It's fun to look at your Christmas stuff! I like the baskets! Clever you! Oh, the kitties. So good and sneaky. 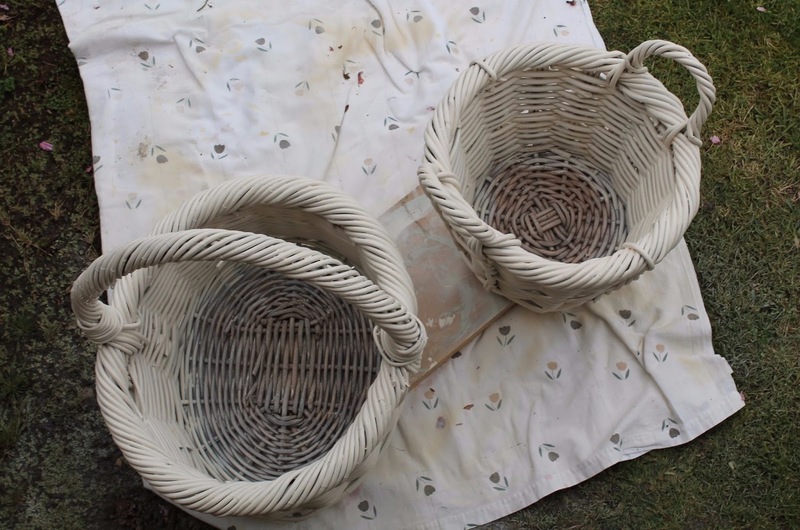 Those baskets look so pretty with their new lease on life! Love the blanket hearts, the angel, the stockings! You work magic and miracles from what others toss away. Pippi must think she stumbled into a fairy tale to find a such fancy bed full of lace and frills. 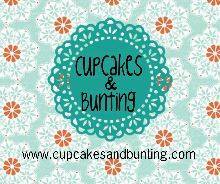 So many lovely projects.. and the kitties are so adorable..
Hi Julie, I love to read your blog. You accomplish so many craft things and those cats are just adorable. I am a dog person but seeing those cats curled up in those baskets like that would weaken me! 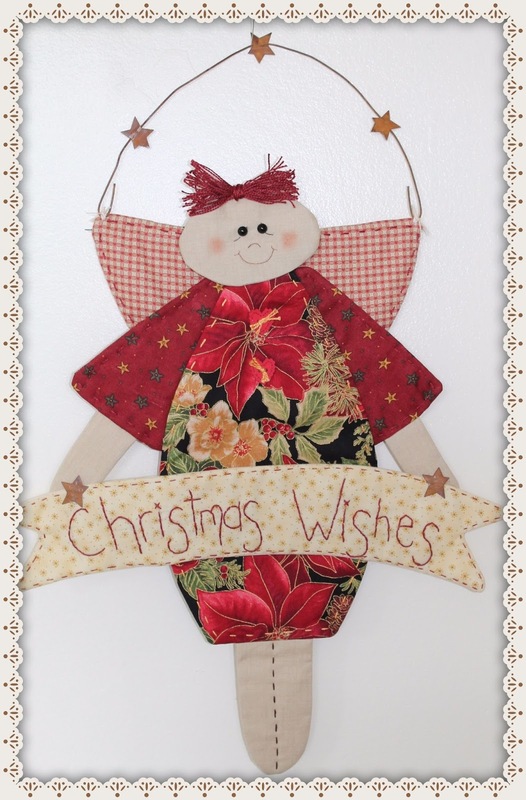 I am wondering how many hours a day do you work on crafts for your little cottage? 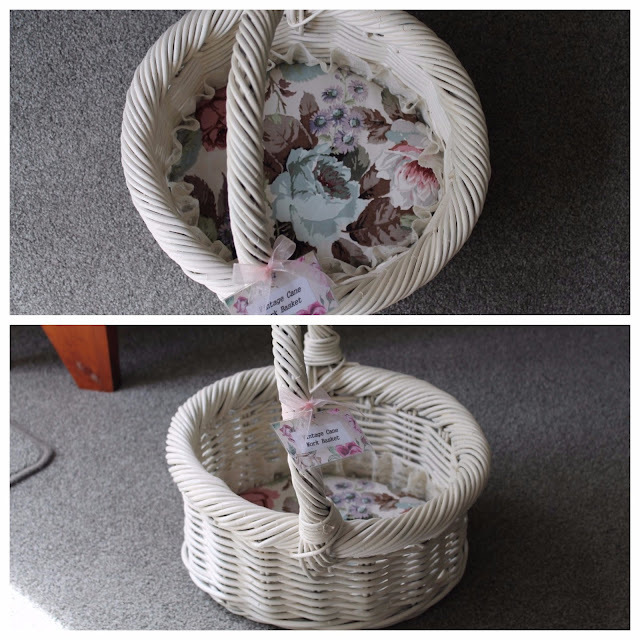 The baskets with the lace are so pretty and I will have to remember the idea about the hair spray. 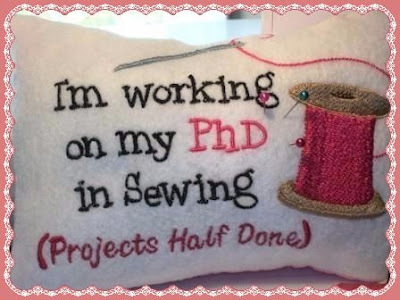 I like the sign at the top that you are working on your "PhD in sewing". Thank you Nancy .... & thanks for the link for the lotion bars. I shall certainly go & have a look at those instructions, they are fascinating. Oh Julie, you have to laugh at Pippi and Blackie,they know the best places to sleep!! You are going well kn your PHD!! 😀 that is a very clever idea using the hairspray for the lace! The baskets look wonderful, your shop will be looking amazing now. What beautiful gifts from Therle! 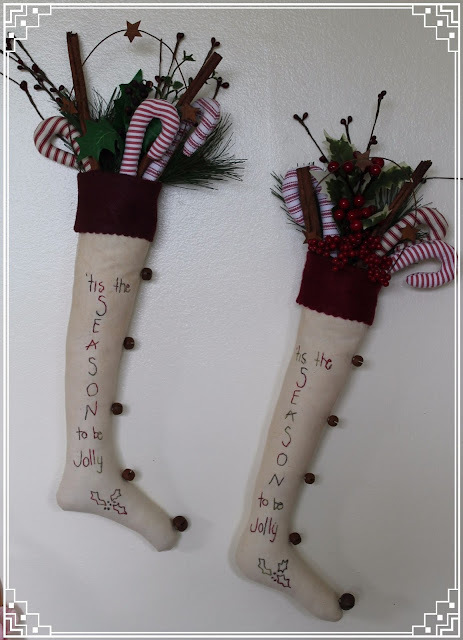 Love the stockings you have amde and the wall hanging. I live your two - they find the best places to curl up and go to sleep in. Lovely to read what you've been up to, as well as the cats. LOL! Stitching Snowmen & Planting Bikes ! !